After rapping about parents just not understanding and extolling the virtues of summertime with DJ Jazzy Jeff, Will Smith achieved TV stardom as the titular Fresh Prince of Bel-Air (where poor Jeff usually got acquainted with the ground, on the order of Judge Philip Banks). 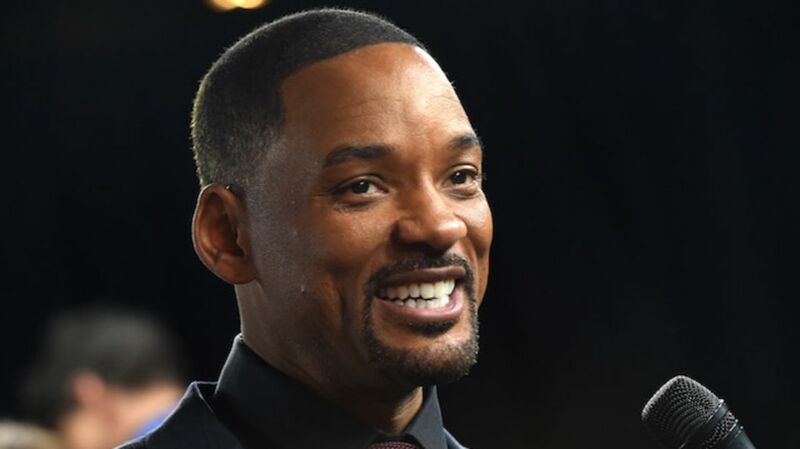 Soon enough, Smith was starring in blockbusters like Independence Day (1996) and I, Robot (2004), crowd-pleasing franchises like the Men in Black and Bad Boys films, and romantic comedies like Hitch (2005), plus earning critical praise (and Oscar nominations) for his work in the dramas Ali (2001) and The Pursuit of Happyness (2006). As Oscar buzz continues to build around Smith's performance in Concussion, in which he plays Dr. Bennet Omalu, a pathologist who discovers the horrific after-effects of playing professional football, here's a look back at some of the could-have-beens in Smith's career. Smith was set to co-star with Nicolas Cage in the Brian De Palma-directed film. He would have played the role of Commander Dunne, which eventually went to Gary Sinise. Smith passed on account of not being offered enough money. “I loved, loved, loved [the script for] K-PAX”, Smith admitted to MTV. “But it never really jelled in my mind. I always wanted to make that movie.” Kevin Spacey, who was originally offered the role of the psychiatrist (later played by Jeff Bridges), stepped in and played Prot instead. The live action/animation hybrid was planned to have featured Smith as the voice of the titular character. After script issues and conflicting schedules forced Smith to leave the project, Chris Rock took the role. In Jonathan Demme’s remake of Charade (1963), Mark Wahlberg portrayed Lewis Bartholomew/Joshua Peters, a role originally played by Cary Grant. Smith was offered the part, but declined in order to star in Michael Mann's Ali (2001) instead. Which was a smart move, as Smith was nominated for a Best Actor Oscar, whereas Charlie was ignored by awards shows and audiences alike. Originally the title roles were to go to Brad Pitt and Nicole Kidman. Kidman had to leave the project when The Stepford Wives (2004) went over schedule. When Kidman left, Pitt also dropped out, leading director Doug Liman to consider pairing Will Smith and Catherine Zeta-Jones. Then Johnny Depp and Cate Blanchett. When Pitt stepped back in, it was going to co-star his ex-fiancée, Gwyneth Paltrow. Then Angelina Jolie came along. Earlier this year, writer-director Roland Emmerich insisted that Smith was “excited” to reprise the role of fighter pilot Captain Steven Hiller in next year's Independence Day sequel, with Vivica A. Fox set to come back as his wife Jasmine and a young actor cast as their son. But then After Earth (2013) bombed at the box office and Smith changed his mind. “In the very beginning, I wanted to work with him and he was excited to be in it but then after a while he was tired of sequels, and he did another science fiction film, which was his father-son story, so he opted out,” Emmerich explained.